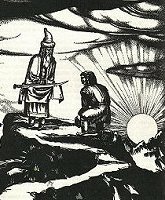 An ancient Scythian legend tells of the Sword of God. Those in possession of this sword are invincible and are destined to rule the world. 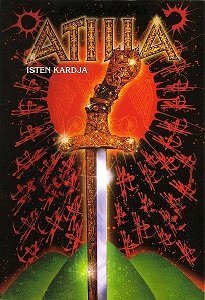 This is also the sword of Hungarian mythology (Isten Kardja). Atilla, the great leader of the Huns, acquires this sword. This is a sign from God that he is to be the most powerful ruler on Earth. 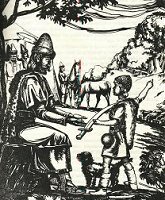 Atilla then succeeds to defeat the Germanic tribes and the Roman Empire, uniting the Huns into the most powerful empire in the world. He is seen as the scourge of God, sent to punish and destroy evil.